29.11.18 18:05;Account;Receive;Received Payment 2.5 USD from account U16662351 to account U1294000. Batch: 237702651. Memo: API Payment. bitbancaire.com Withdrawal. 29.11.18 06:04;Account;Receive;Received Payment 4.00 USD from account U16662351 to account U1294000. Batch: 237632781. Memo: API Payment. bitbancaire.com Withdrawal. 28.11.18 18:10;Account;Receive;Received Payment 1.95 USD from account U16662351 to account U1294000. Batch: 237593612. Memo: API Payment. bitbancaire.com Withdrawal. 01.12.18 20:07;Account;Receive;Received Payment 8.5 USD from account U16662351 to account U1294000. Batch: 238246005. Memo: API Payment. bitbancaire.com Withdrawal. 30.11.18 21:13;Account;Receive;Received Payment 2.5 USD from account U16662351 to account U1294000. Batch: 237816481. Memo: API Payment. bitbancaire.com Withdrawal. 30.11.18 12:03;Account;Receive;Received Payment 4.00 USD from account U16662351 to account U1294000. Batch: 237769140. Memo: API Payment. bitbancaire.com Withdrawal. 04.12.18 05:05;Account;Receive;Received Payment 2.5 USD from account U16662351 to account U1294000. Batch: 238473305. Memo: API Payment. bitbancaire.com Withdrawal. 03.12.18 13:32;Account;Receive;Received Payment 6.5 USD from account U16662351 to account U1294000. Batch: 238407977. Memo: API Payment. bitbancaire.com Withdrawal. 05.12.18 06:13;Account;Receive;Received Payment 0.5 USD from account U16662351 to account U1294000. Batch: 238591179. Memo: API Payment. bitbancaire.com Withdrawal. 04.12.18 19:08;Account;Receive;Received Payment 4.00 USD from account U16662351 to account U1294000. Batch: 238558047. Memo: API Payment. bitbancaire.com Withdrawal. 06.12.18 18:34;Account;Receive;Received Payment 1.00 USD from account U16662351 to account U1294000. Batch: 238768523. Memo: API Payment. bitbancaire.com Withdrawal. 06.12.18 05:41;Account;Receive;Received Payment 4.5 USD from account U16662351 to account U1294000. Batch: 238695645. Memo: API Payment. bitbancaire.com Withdrawal. 07.12.18 18:08;Account;Receive;Received Payment 4.75 USD from account U16662351 to account U1294000. Batch: 238870762. Memo: API Payment. bitbancaire.com Withdrawal. 07.12.18 04:48;Account;Receive;Received Payment 0.5 USD from account U16662351 to account U1294000. Batch: 238798520. Memo: API Payment. bitbancaire.com Withdrawal. 09.12.18 06:32;Account;Receive;Received Payment 4.00 USD from account U16662351 to account U1294000. Batch: 238993864. Memo: API Payment. bitbancaire.com Withdrawal. 08.12.18 19:32;Account;Receive;Received Payment 0.75 USD from account U16662351 to account U1294000. Batch: 238969075. Memo: API Payment. bitbancaire.com Withdrawal. 09.12.18 18:27;Account;Receive;Received Payment 0.75 USD from account U16662351 to account U1294000. Batch: 239054322. Memo: API Payment. 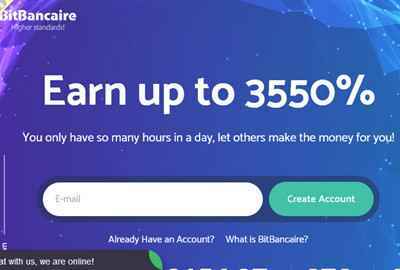 bitbancaire.com Withdrawal.